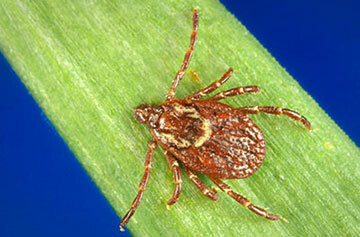 The American dog tick can be found in every county in Indiana. Of the three tick species we are focusing on, the American dog tick is the one most commonly found on humans and canines in Indiana – mainly because of its huge population and its size (nearly twice the size of the blacklegged tick). Additionally, while the current evidence does not show a connection between the American dog tick and the transmission of Lyme, researchers are still looking for a possible link. For a quick reference ID card for identifying the blacklegged tick, the lone star tick, and the American dog tick click here. For more information about various tips and strategies for preventing tick bites, visit our Prevention page.